Direct Salon Furniture Utopia Barbers Chair is a well-built and classically designed barbers chair, the utopia has a heavy duty, fully hydraulic base and a large footrest. 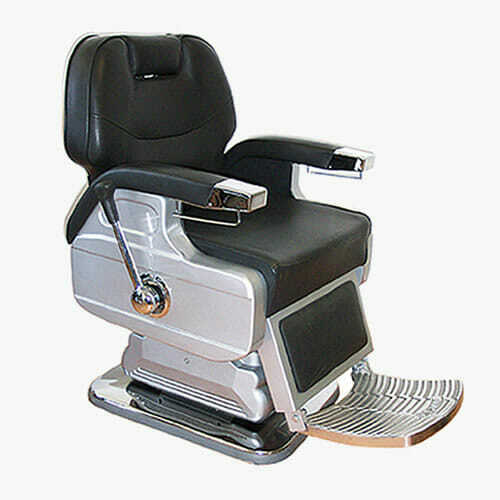 The chair also features a reclining mechanism and adjustable headrest for complete client comfort. 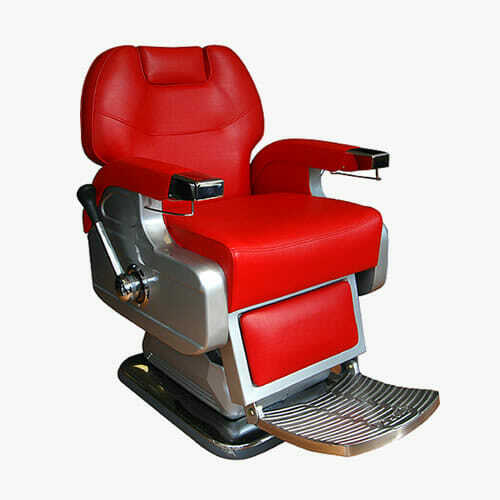 The Utopia Barbers Chair is upholstered in a hard wearing fabric, available in either red or black, please use the drop down box to select your colour. SORRY NO RED IN STOCK CURRENTLY WE ARE TAKING ORDERS FOR THE NEXT CONTAINER. 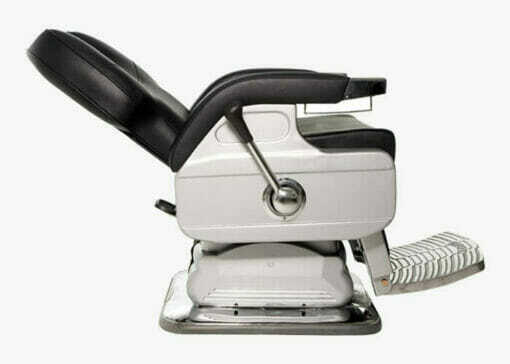 Dimensions: Width 660mm, Min Height 590mm, Max Height 776mm.